Product and machine design is a subcategory of computer-aided design (CAD) software specifically targeted towards designers and engineers across a number of disciplines, including manufacturing, product design, automotive, and aerospace. These tools allow users to generate precision 3D models of parts, components, and assemblies to aid in engineering, manufacturing, and design processes. While some of the products in this category may be used for a broader range of CAD purposes, their rankings within this grid focus exclusively on their use as a product and machine design tool. For more information about general purpose CAD products, which include a broad range of 2D and 3D drafting and modeling tools, see our General Purpose CAD software category. For additional information about building design and building information modeling (BIM) products, see our Building Design and BIM category. Product and Machine Design reviews by real, verified users. Find unbiased ratings on user satisfaction, features, and price based on the most reviews available anywhere. 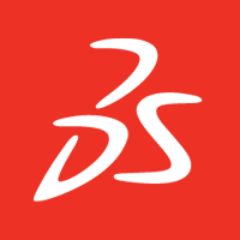 SOLIDWORKS offers complete 3D software tools that let you create, simulate, publish, and manage your data. SOLIDWORKS products are easy to learn and use, and help you design products better. Onshape is a modern CAD system that eliminates design gridlock: the constant waiting, distractions, and hassles that prevent engineers from doing their best work. Onshape unites advanced modeling tools and design data management in a secure cloud workspace that is accessible on any device and never loses data. With no files to lose or corrupt, no license keys to manage, and no installed desktop software, Onshape helps engineering teams get out of the IT business so they can get back in the innovation business. Professional engineers at thousands of companies rely on Onshape to modernize and streamline their engineering process. Onshape users in 170+ countries have logged over 6 million hours modeling advanced robotics, biomedical devices, industrial machinery, and myriad other products. With 1 of 8 sessions occurring on mobile devices, Onshape is the world’s first anywhere, anytime CAD system. Founded in 2012, Onshape has raised $169 million from Andreessen Horowitz, NEA, North Bridge, and other leading investors. The Onshape leadership team includes the original creators of SOLIDWORKS® and other proven leaders in cloud infrastructure, data security, and mobile. Complete hybrid 2D/3D CAD system that uses synchronous technology for accelerated design, faster change, and improved imported reuse. AutoCAD® Mechanical design software is AutoCAD software built for manufacturing. Part of the Digital Prototyping solution, it includes all the functionality of AutoCAD, plus libraries of standards-based parts and tools to help automate common mechanical CAD tasks and accelerate the mechanical design process. KeyCreator is 3D CAD software that supports design with solids, 2D, wireframe, and surfacing, and building of assemblies all in the same 3D workspace. Developed closely with manufacturers and engineers, KeyCreator combines the flexibility of direct modeling with a broad range of translators, making it ideal for projects where quick, unplanned design variations and productive re-use of design data from anywhere are critical. KeyCreator is powered by core technologies that can recognize, or even infer, the geometry’s attributes to facilitate interoperability in what might otherwise be unusable data. This strategy allows geometry, no matter where it originated, to be used throughout the manufacturing supply chain to speed time to market, reduce costs and improve quality. Design to Siemens NX is an integrated product design solution that streamlines and accelerates the product development process for engineers who need to deliver innovative products in a collaborative environment. Altium Designer bridges all facets of the PCB design process to keep you seamlessly connected to every aspect of your design — at all times. Schematic, PCB, layout, documentation and simulation. Design top-tier electronics faster and more efficiently with hierarchical schematic and design reuse in one cohesive, easy-to-navigate user interface. Design rigid-flex in full 3D and confirm that the 3D component, case assembly and PCB clearances meet all mechanical requirements. Easily migrate from competitors' toolchains with the most powerful translation tools in the industry. Alias® industrial design software powers your creative process with a range of sketching, modeling, surfacing, and visualization tools. SOLIDWORKS Simulation is an easy-to-use portfolio of structural analysis tools that use the Finite Element Analysis (FEA) method to predict a product's real-world physical behavior by virtually testing CAD models. The portfolio provides linear, non-linear static and dynamic analysis capabilities. Inventor LT™ software introduces 3D mechanical CAD into your 2D workflows. FEA. SRAC Cosmos acquired years ago by SolidWorks. PTC Creo Direct is a stand-alone app that enables casual CAD users to create new geometry or modify any existing 3D CAD design, regardless of file format. Direct interaction with the geometry makes it easy for anyone to learn and use. That’s why it’s the ideal tool for people in concept design, analysis, and manufacturing ― or for anyone who’s new to 3D CAD or uses it infrequently. Working with Creo Direct is quick, flexible and intuitive. It is well suited for tasks such as generating proposals, defining the initial design for tooling fixtures or capturing design input from customers in the field. By furthuring collaboration with your extended team, the software encourages innovation and enables your company to respond better to changing customer needs. Design better, faster IronCAD is an intuitive 3D and 2D design solution that empowers engineers, increases productivity, and facilitates collaboration throughout the enterprise. IRONCAD 3D modeling software empowers designers to focus on design by giving them an intuitive platform that mirrors how we interact with the physical world. Easily reposition components with the patented TriBall™ visualization tool, resize objects by stretching them with handles, and drag and drop predefined shapes into the design scene for a better, faster design process. 3D models made in IRONCAD only require one file, no matter how complex. Assembly part data is integrated into a file’s unified design environment, rather than linking to external files. Feature, part, and assembly data can be stored in catalogs which can be pre-built to include frequently used parts and assemblies, freeing designers to be more productive and allowing them to extend the use of 3D data throughout the enterprise. Creo Elements/Direct Modeling (formerly CoCreate Modeling) provides robust, comprehensive direct modeling capabilities. Alibre Design is an engineering CAD software provides tools for engineers to project and manufacture anything they want. The Altium Vault is a full-blown engineering content management solution that delivers high integrity, smart design and product data management, by providing storage, formal revision management, supply chain intelligence, and lifecycle state management. Dymola is a tool for modeling and simulation of integrated and complex systems for use within automotive, aerospace, robotics, process and other applications. IRONCAD DRAFT (a component of the Design Collaboration Suite) is an extremely powerful 2D mechanical drafting tool with an easy to learn, industry standard user interface and a unique 3D integration capability, enabling users work in 2D but also to view, leverage, analyze, render and reference 3D model data created by suppliers customers and colleagues. SIMULIA Stress Engineer uses sophisticated simulation technology to automatically present options that are meaningful and intuitive for fast product integration in engineering. Adaptive refinement ensures high-quality results for each simulation. AMOB 3D BENDING SOFTWARE is at the cutting-edge of tube bending applications. Extremely easy to operate, it allows direct programming using coordinates or LRA, as well as importing CAD files. ANSYS Vista TF is integrated into the ANSYS Workbench platform for powerful and quick turbomachinery design and analysis. As a 2-D throughflow solver, it fills the space between 1-D correlations and 3-D CFD, providing rapid initial analysis of rotating machinery before proceeding to more rigorous and detailed 3-D fluid flow simulations. Performing initial design iterations using the ANSYS Vista TF 2-D throughflow solver can reduce the total time devoted to product design and development, maximizing the efficiency of engineering simulation. CET Designer is an all-in-one software solution for space planning and configuration of products. The intuitive workflow guides you through the entire process from idea to reality, supporting every step of the sales process. CircuitStudio the PCB Design Tool ready to pick up and go. With the 1.5 release now making it easier than ever to transition your historical Eagle data into a modern tool, with the peace of mind that you will be able to continue editing your design files today, tomorrow and into the future. Dassault Icem Surf is the industry curve and surface explicit geometry modeling tool for defining, analyzing and performing high-end visualization of complex free-form shape CAD surface models. Hi there! Can I help you find the best Product and Machine Design solutions?